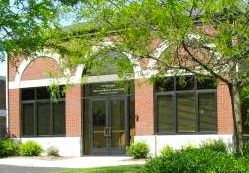 All qualified building trade contractors who want to learn about the upcoming Howell Carnegie District Library Facility Renewal & Improvement Project can attend a special meeting set for 3:30-5:30 p.m. Thursday, June 19, in the Meabon Room of the library. Sam Ruegessegger from The Christman Co., the library’s construction management contractor, will answer questions about the project and the bidding process. Contact Sam Ruegessegger at 734.761.2673 with any questions.